Make yourself at home in one of the 3 air-conditioned rooms featuring fireplaces and Smart televisions. Your pillowtop bed comes with Egyptian cotton sheets. Rooms have private balconies or patios. Complimentary wired and wireless Internet access keeps you connected, and premium TV channels provides entertainment. With a stay at Lizard Creek Lodge in Fernie, you'll be in the mountains, within a 10-minute drive of Fernie Alpine Resort and Fernie Memorial Arena. This ski resort is 4.7 mi (7.5 km) from College of the Rockies Fernie Campus and 4.7 mi (7.6 km) from Fernie Heritage Library. 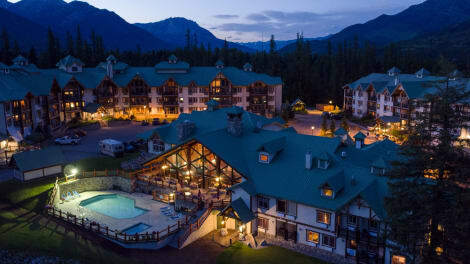 lastminute.com has a fantastic range of hotels in Fernie, with everything from cheap hotels to luxurious five star accommodation available. We like to live up to our last minute name so remember you can book any one of our excellent Fernie hotels up until midnight and stay the same night.